Crowborough Athletic Football Club were formed in 1894. They played in the local leagues in the Tunbridge Wells area until the late 70's, when they joined the Sussex County League. 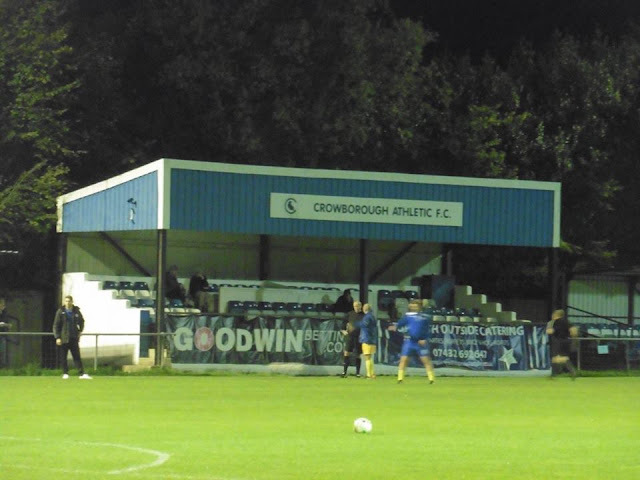 In the early 50's, the club settled in their new home of Alderbrook Recreation Ground which is now known as the Community Stadium. 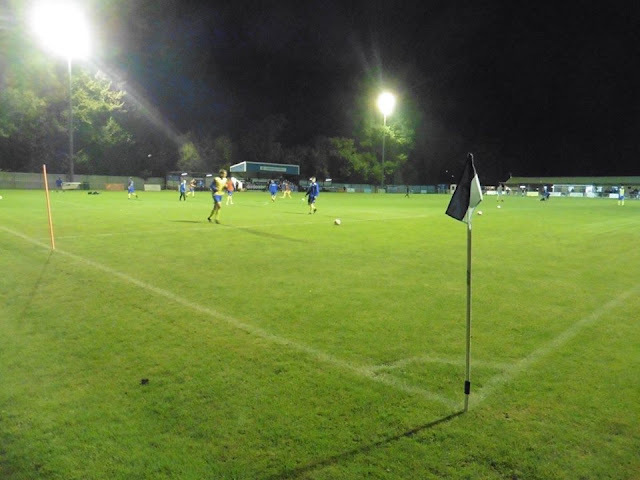 Since the early 50's, they have won the Mid-Sussex Senior Charity Cup twice in 1952 and 1954. 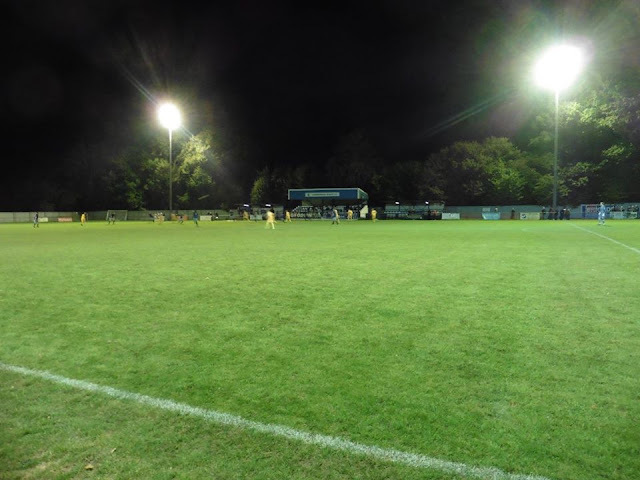 In 1977-78, the club won the Division Two Cup in the Sussex County League and remained in Division Two until relegation to Division Three in 1983-84. 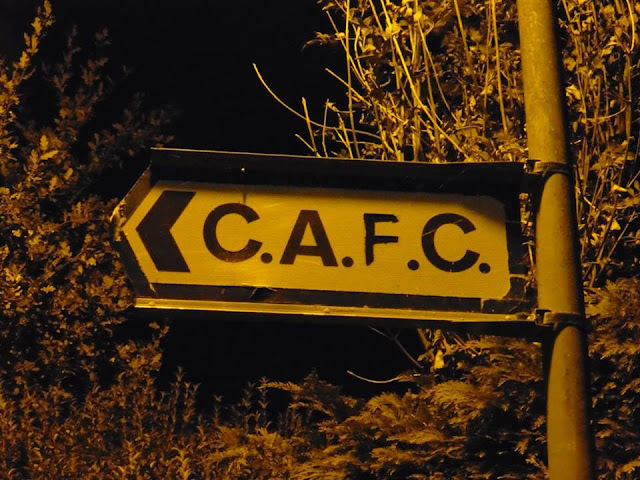 The club were promoted back to Division Two in 1986-87 and in 1992-93, the club were promoted to Division One after title rivals Stamco only needing a point to win the title and were promoted. 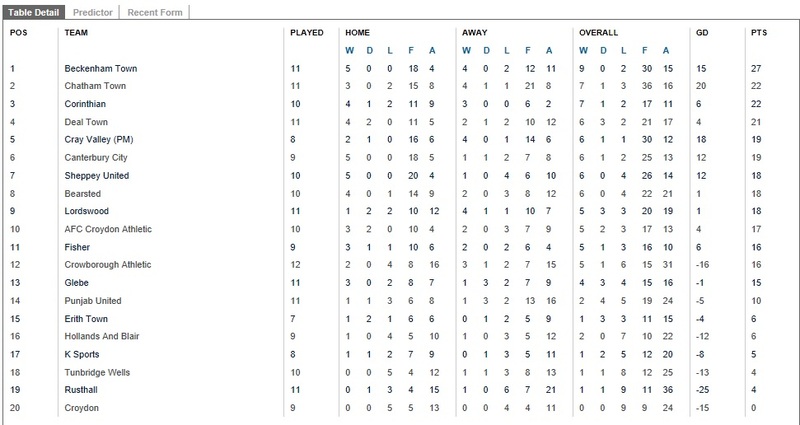 They then remained in Division One until 1996 when they finished bottom and were relegated back into Division Two. 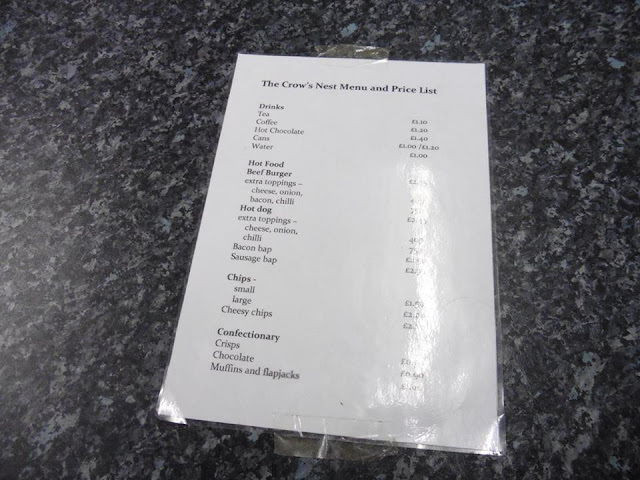 Relegations and promotions occurred from then onwards, the club were promoted to Isthmian Division One South in 2008. 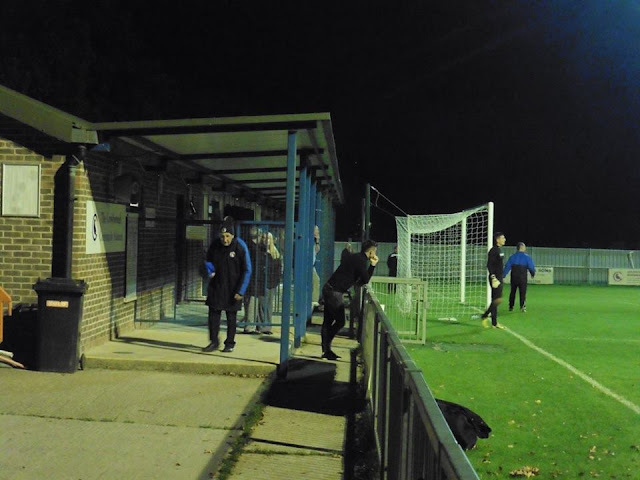 However, after the majority of the team left following the withdrawal of financial support from a major benefactor, the club finished bottom in their 1st season and were relegated back to the Sussex County League. 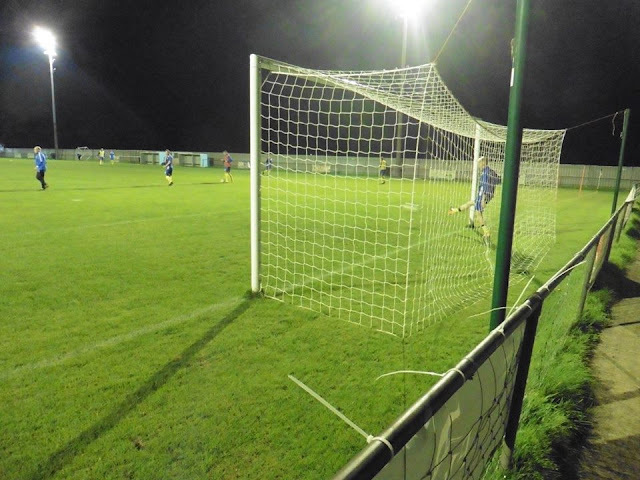 In 2014, the club transferred to the Southern Counties League and became members of the Premier Division in 2016 when the league gained a Second Division. After seeing Gillingham's terrific win at Portsmouth who are the League leaders and hadn't lost a game yet, it was back to Groundhopping duties for me. Even though Gillingham were playing, they were only playing in the Checkatrade Trophy against Spurs Under 21's, plus as my boycott of the competition continues, my original game for tonight was going to be Corinthian-Casuals v Whitehawk in the Isthmian League. 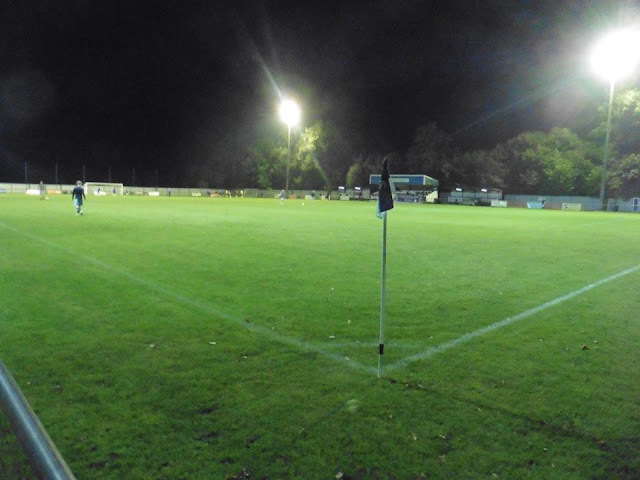 But as Dad asked me if there was any local or localish games on, I noticed on Kentish Football that Crowborough were at home to Bearsted who funnily enough I watched last Tuesday as they beat Tunbridge Wells at home 3-2. 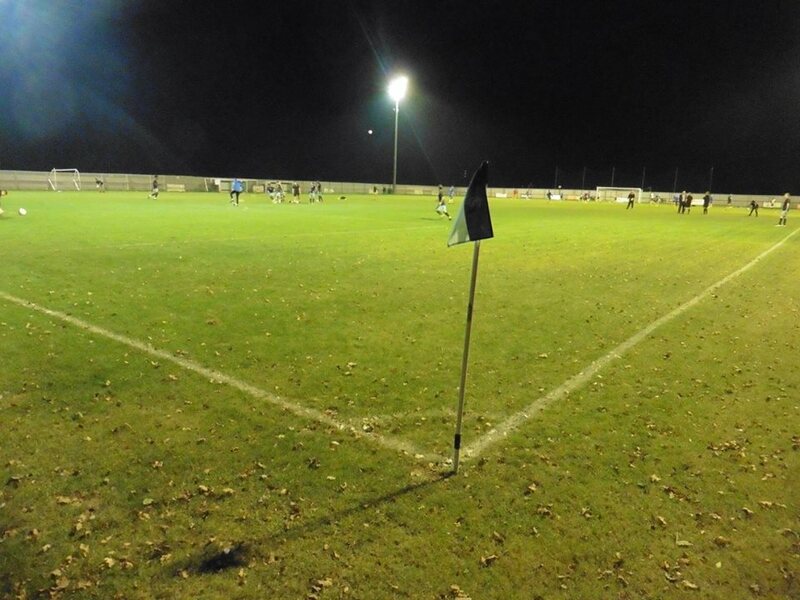 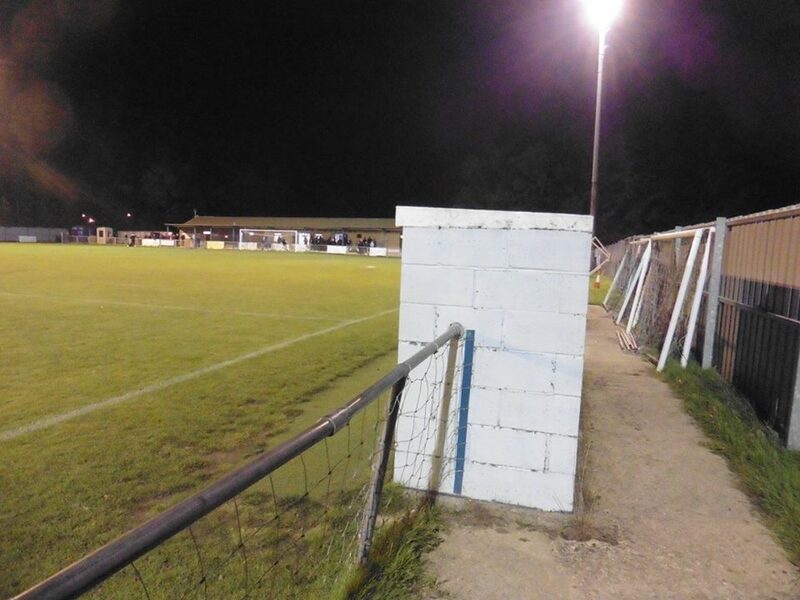 It also is quite funny as well to think my 1st ever visit to Bearsted's ground (which you can see photos of from here) as that night, Bearsted were at home to none other than Crowborough. 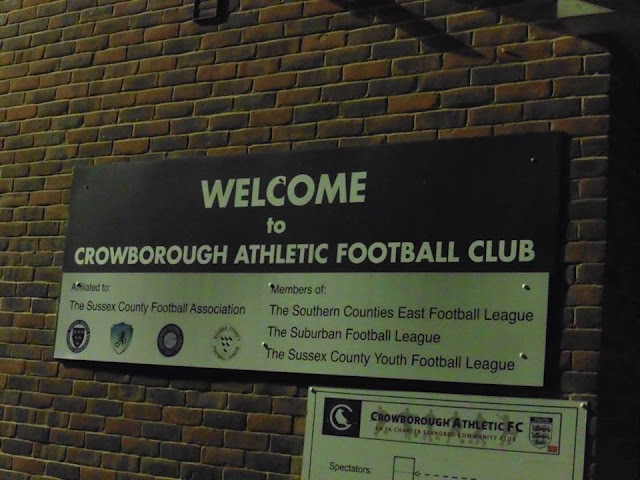 As it looked a pain to get to by public transport from home to Crowborough, I took the option of getting a lift from home to Crowborough in the car which took no more than 40 minutes. After leaving home shortly after 6.30pm, we arrived in plenty of time at around 7.15pm. 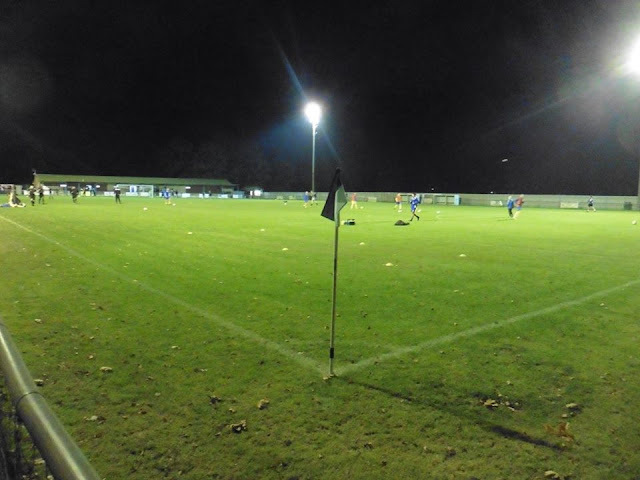 After taking photos, we then went in the ground at £7 admission and a free programme which it wasn't, but the man at the turnstile just let us have it for free, can't complain haha. 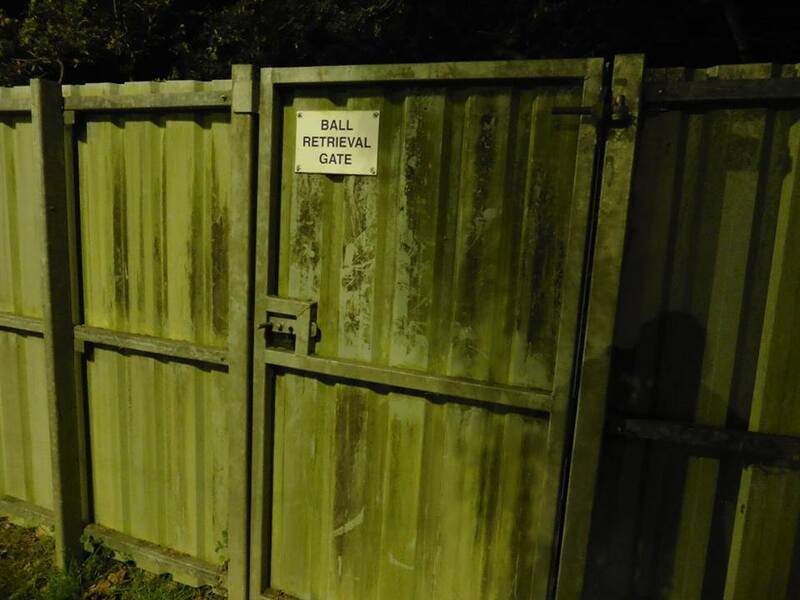 After going round the ground taking photos, the game then kicked off. 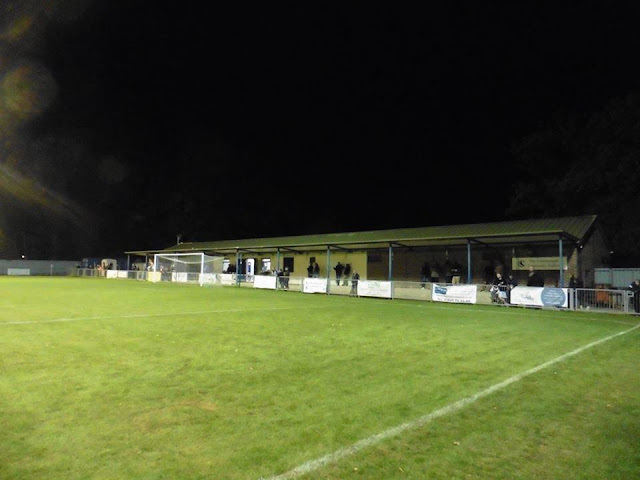 1st half I thought Bearsted had slightly the better half of the game although it was 0-0 at the break. 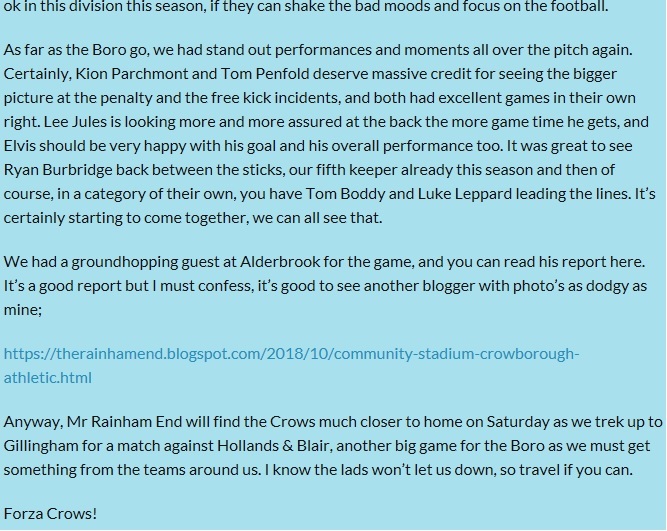 HT came and I went and bought some cheesy chips and put a tweet up on Twitter with my usual HT analysis. 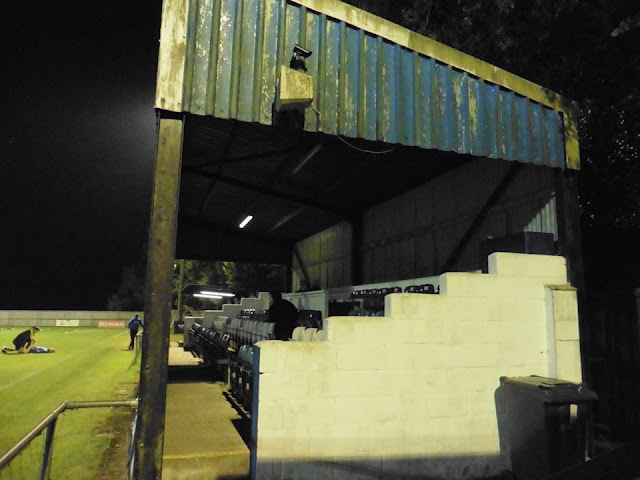 Once I had done that, I noticed Dad talking to someone which happened to be another Gills fan living in Crowborough, a very small world indeed. 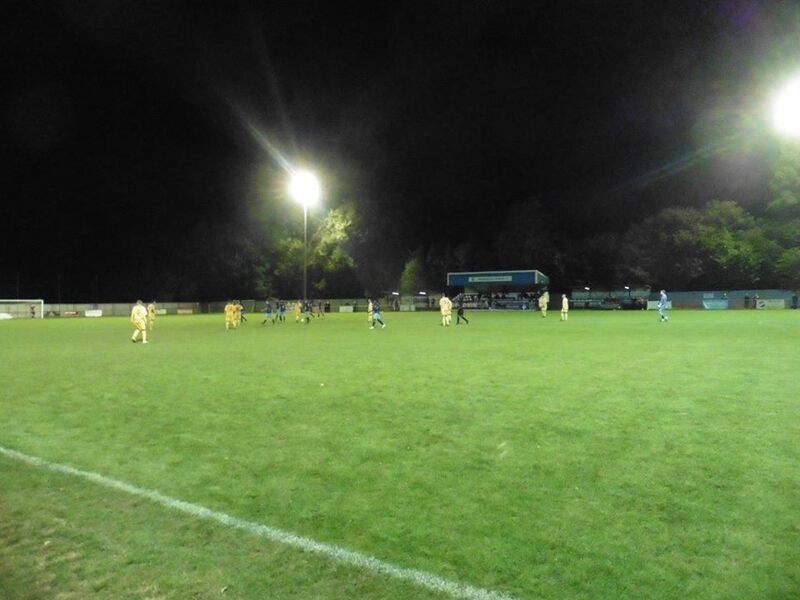 After talking all Gills with him, the 2nd half got under way and Crowborough took the lead after 62 minutes, a free-kick over the top which saw Bearsted's number 5 slice his kick which nearly ended up being an own goal, came off the post and fell easily to Crowborough's Leppard, with an easy finish. The 2nd goal came a few minutes later with a penalty scored right down the middle in the roof of the net. Bearsted pulled 1 back on 82 minutes but Crowborough wrapped the game up with a smart move from Elvis Onyenze, a very quick player indeed who impressed me in the 2nd half and a cool finish to wrap the game up. 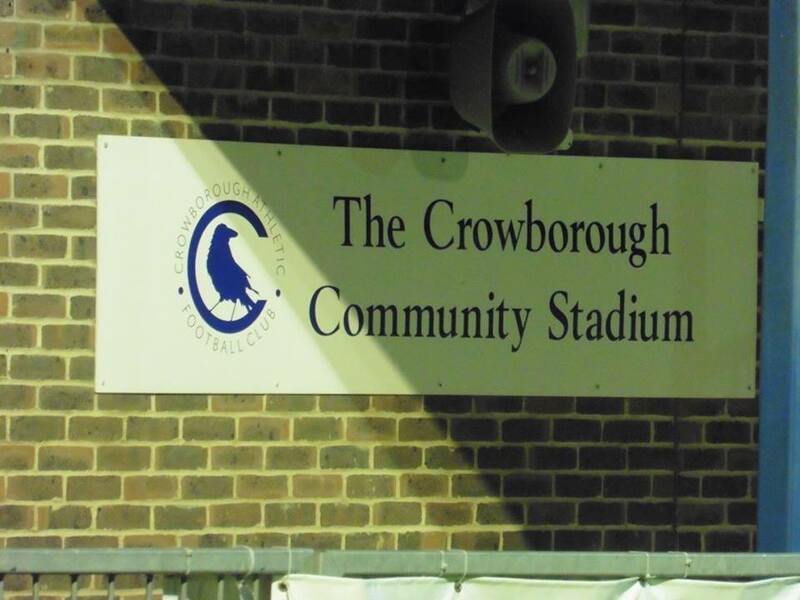 FT whistle blew and Bearsted's winning run of 8 games comes to an end at Crowborough. 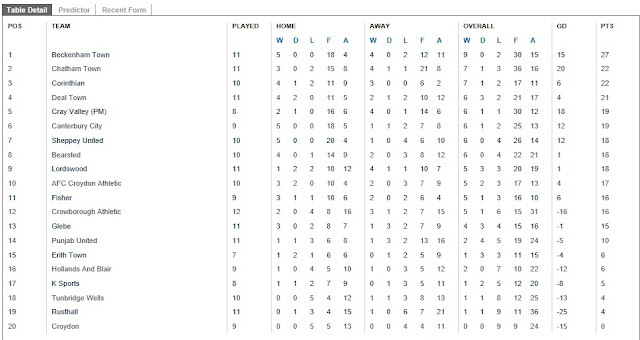 4 goals and still surprisingly haven't seen a 0-0 draw yet haha. Crowborough's ground was ground 142 so far. 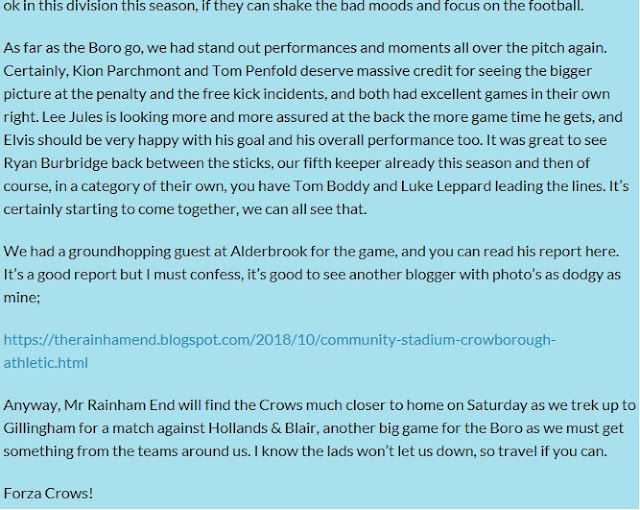 Always nice to get a mention from other blogs, you can read up Crows Unofficial report by clicking here. 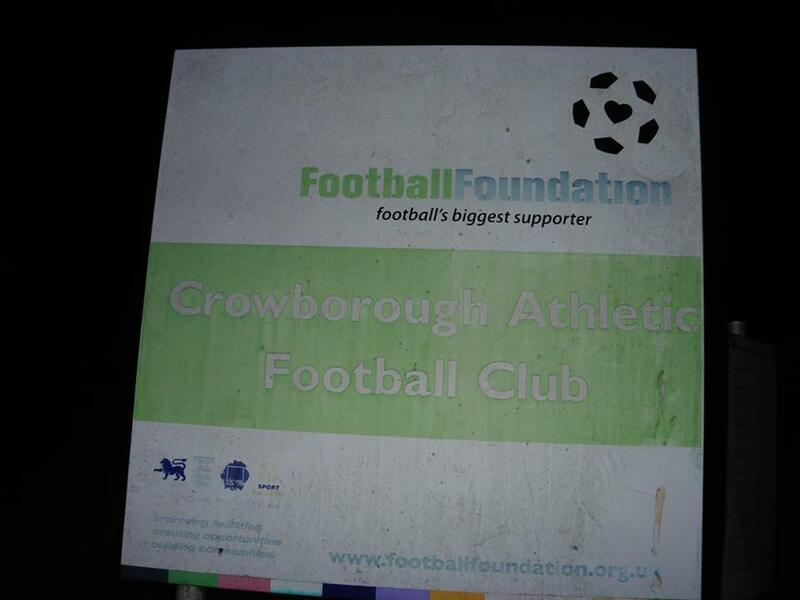 Crowborough Athletic have been playing at now what is called The Community Stadium since the early 50's. 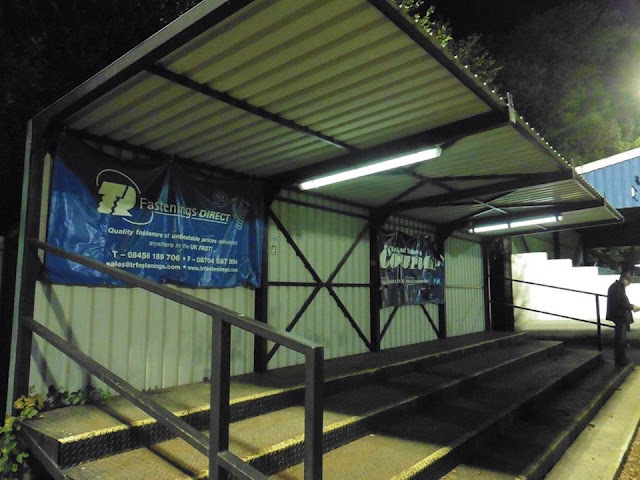 The club did briefly groundshare at Maidstone United's Gallagher Stadium before moving back to the Community Stadium. 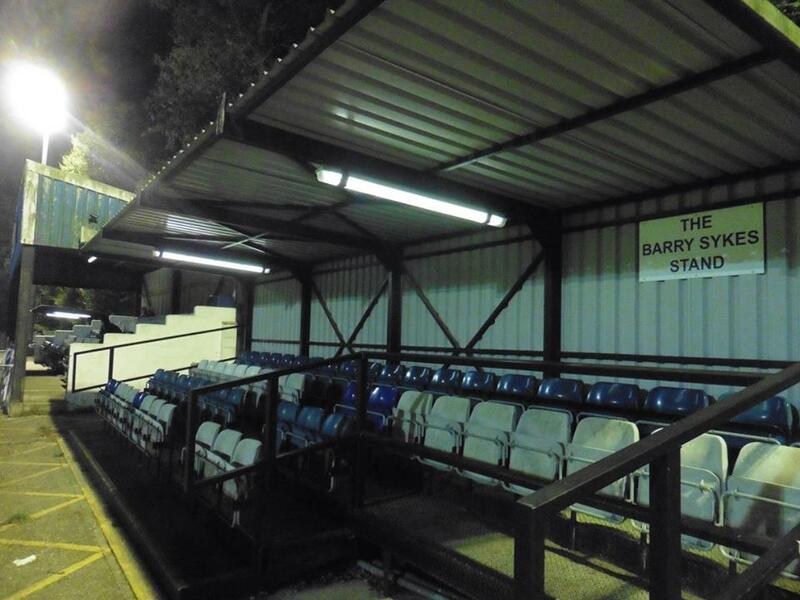 The ground holds 2,000 with about 150 seats on the side of the pitch. 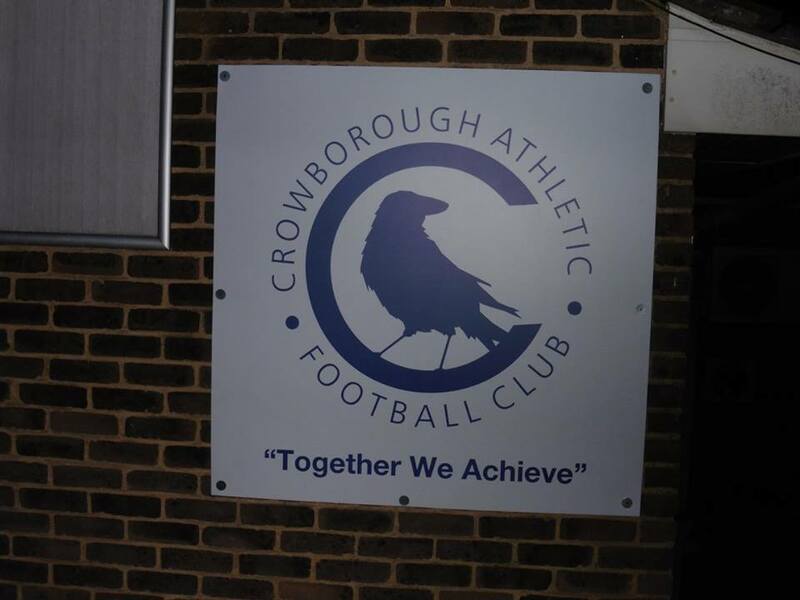 Crowborough train station is the nearest to the ground although hearing it's about a 30 minute walk to the ground. Luckily I got a lift to Crowborough when I went so I wouldn't know usually!